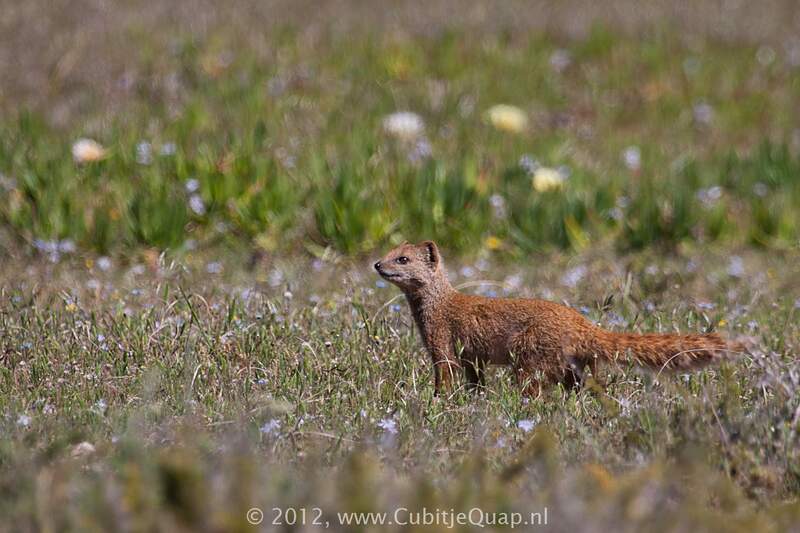 Usually reddish-yellow to tawny-yellow with prominent white tip to tail. 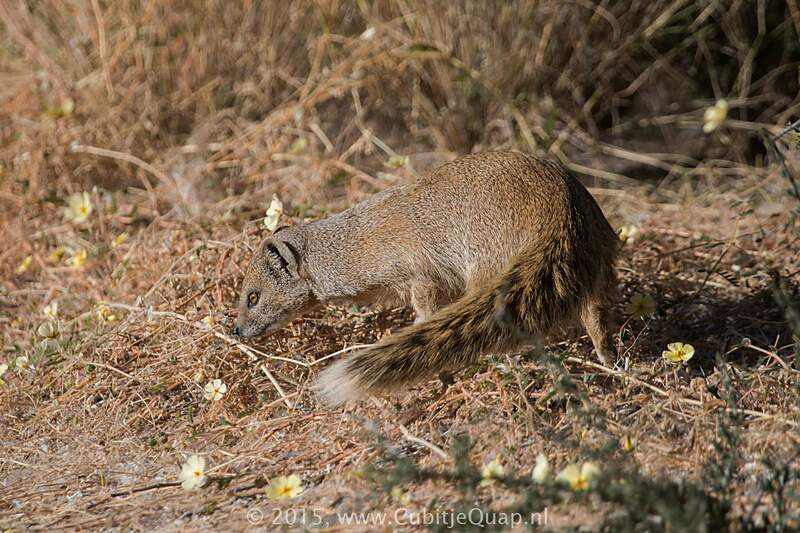 However, in northern parts of range, particularly Botswana, it is more grey and usually lacks white tip to tail. 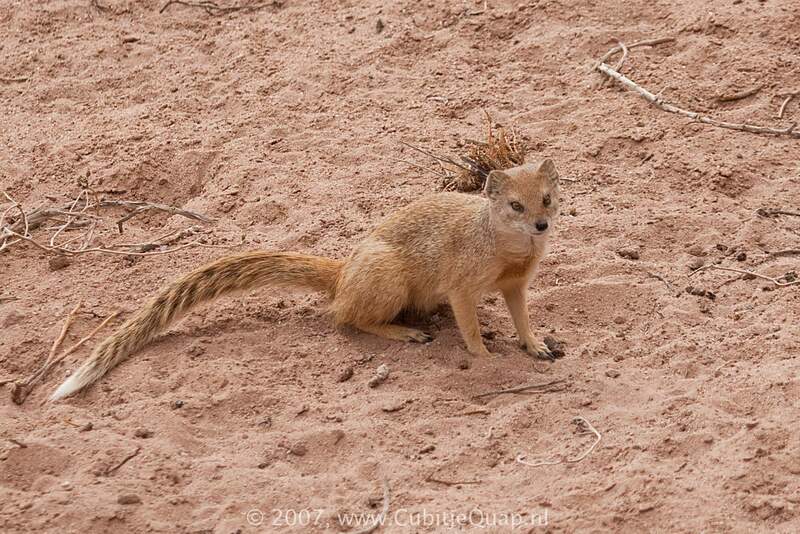 Tail quite bushy. 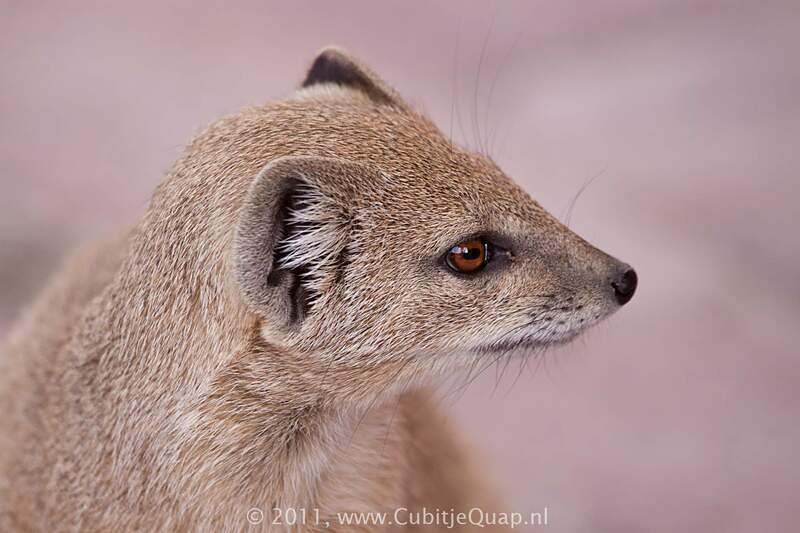 Chin, throat and upper chest paler than rest of body and eyes are orange-brown. 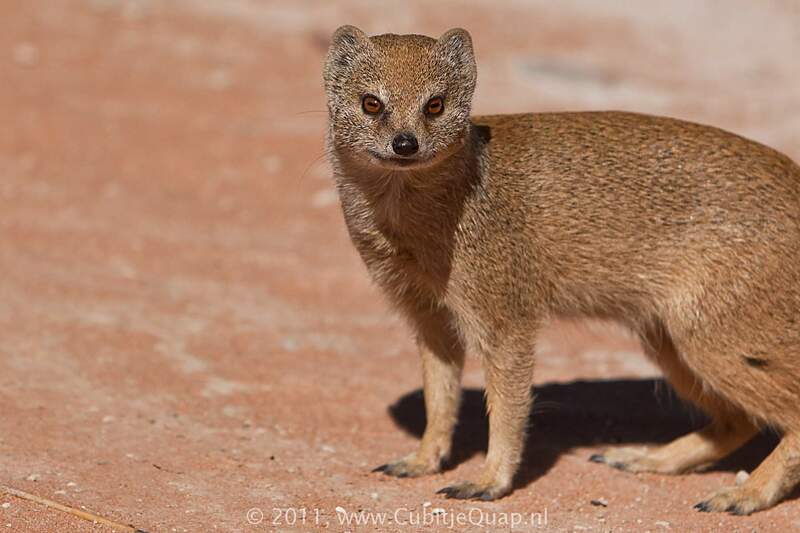 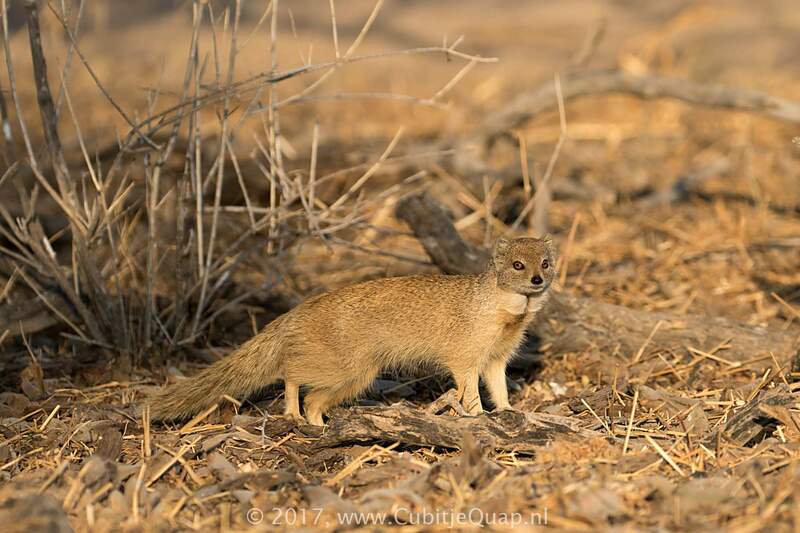 This is a mongoose of open habitats, short grassland, and semi-desert scrub, but it also occurs in the more open areas along the coast. 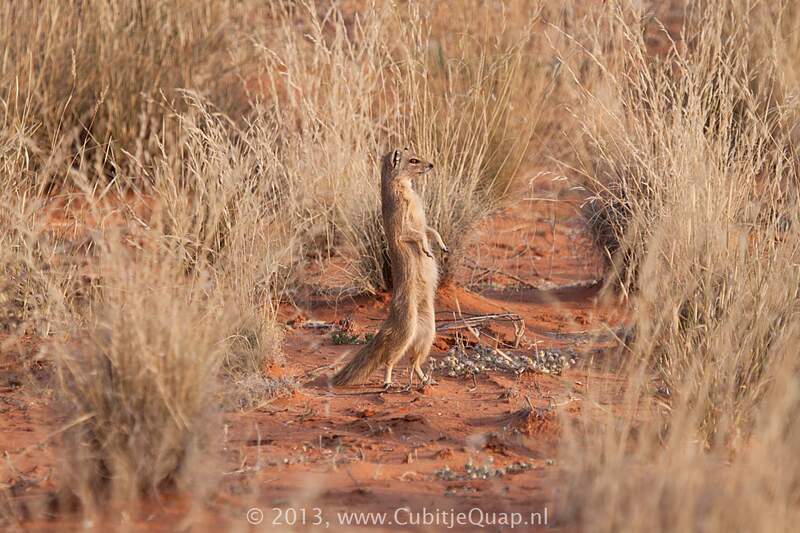 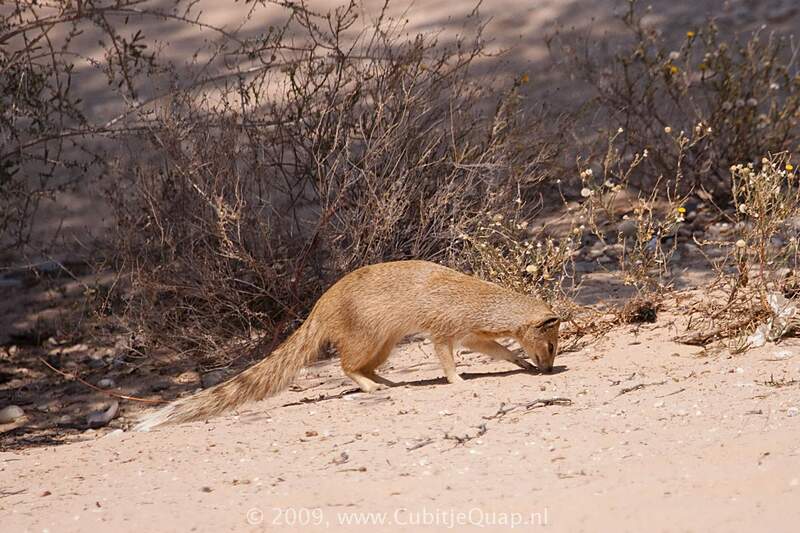 It is absent from forest, dense vegetation and the coastal Namib Desert. 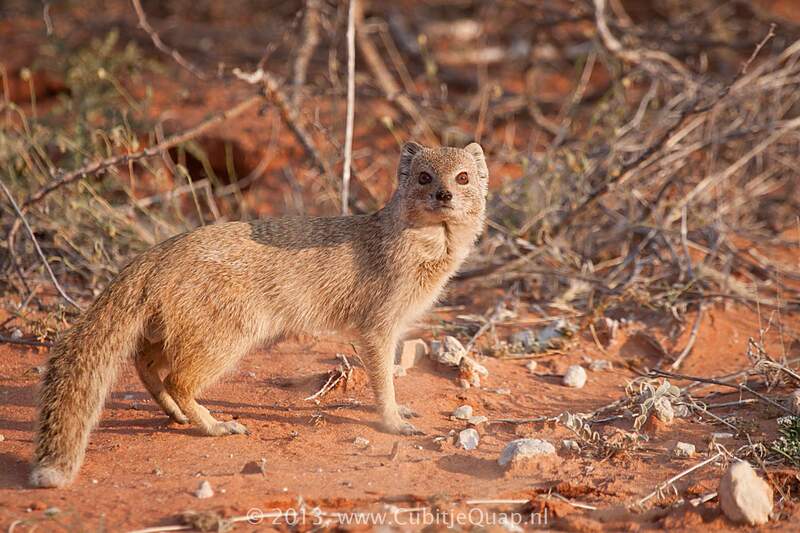 Diurnal species and although usually seen alone it lives communally in warrens of 5 to 10 (sometimes as many as 20) individuals. 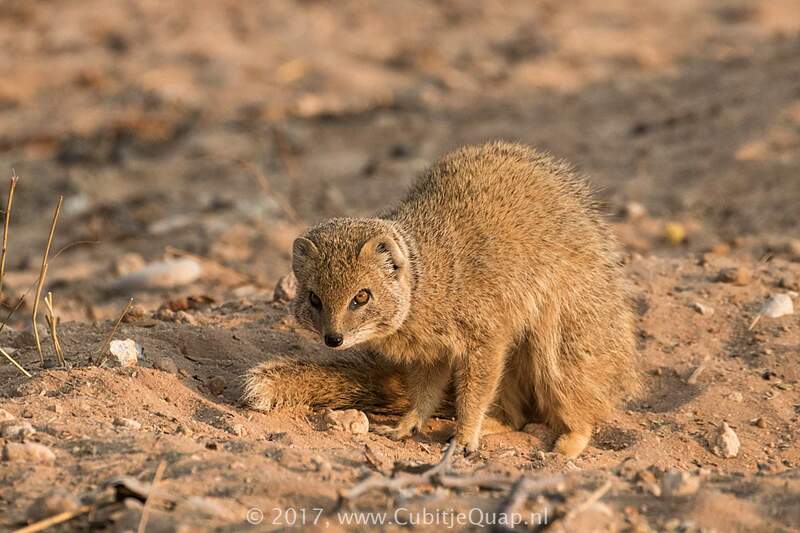 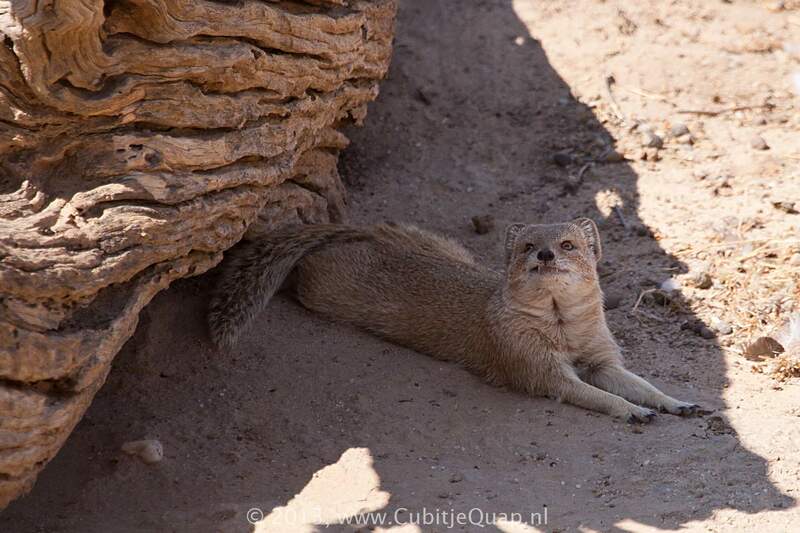 It may dig its own burrows but will readily occupy those dug by the suricate and ground squirrels, sometimes with all three species living in the same burrow systems. 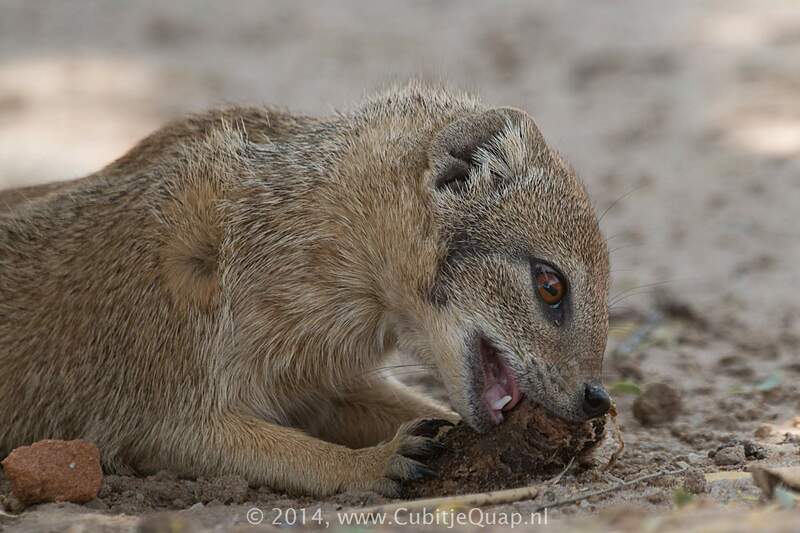 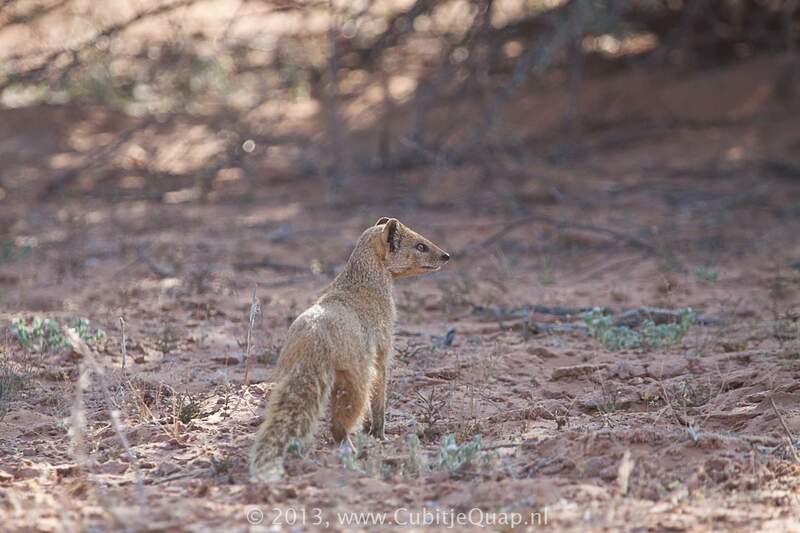 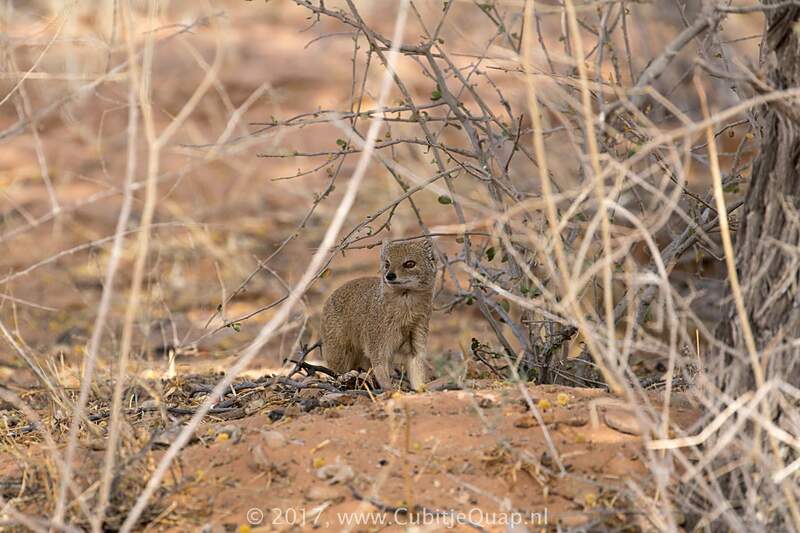 Each morning the yellow mongoose colony disperses along regularly used pathways to forage. 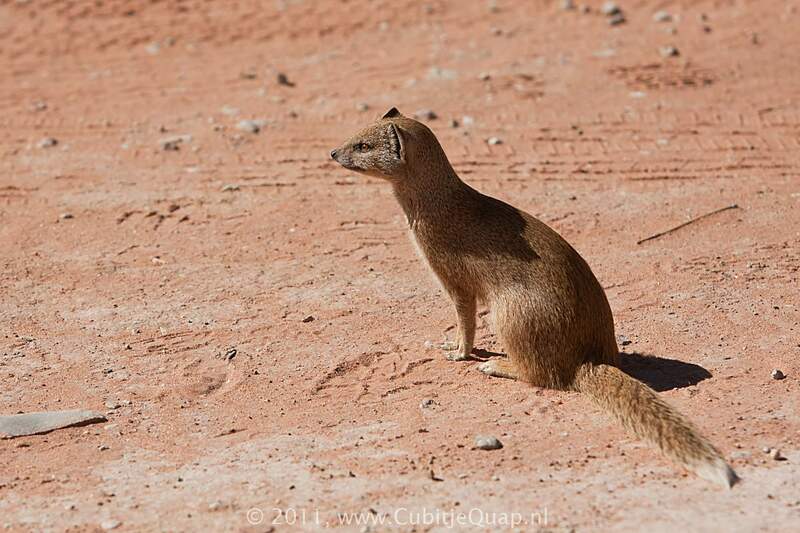 The droppings are deposited in latrines in close proximity to the entrances to the burrows. 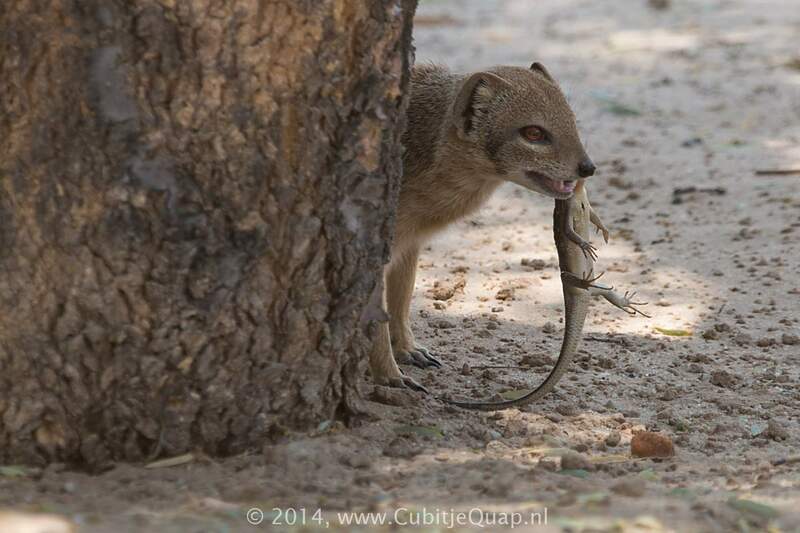 Mostly insects and invertebrates, but also takes small rodents, amphibians and reptiles and occasionally carrion.